I absolutely love feathered light shades. I have done ever since I first saw one. They're just stunning aren't they? I first saw one at an interior shop called Heals. (I actually wrote a blog post about the shop which you can read about here >>> Head Over Heals.) Their Eos Pendant shades were something I felt would look really nice inside my home. Ever since I saw it, I knew that somehow a feathered lamp shade HAD to enter my home, one way or another. My only issue was how expensive those little shades were (cries). Honestly, to get one that was decent and good quality seemed a little out of reach. Especially because I am the type that likes the bigger lampshades because they make more of a statement. Also, the ceilings in my home are quite high up so a small light shade wouldn't even get noticed. That being said, I was determined to find an alternative way to get one. I didn't want to give up, I searched high and low and came out with the decision that maybe I can make one?! Sounded a little crazy at first, but I found out it HAS been done before. 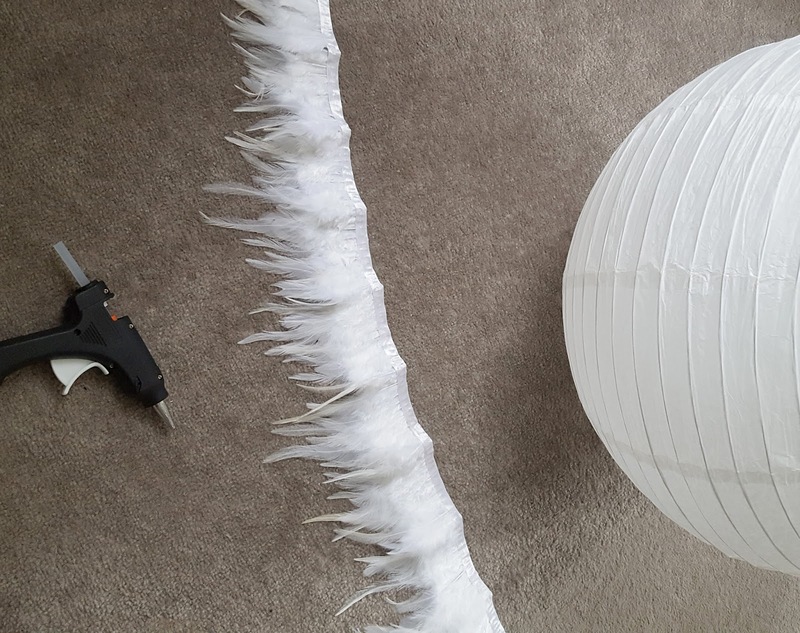 I saw a few Pinterest DIY's that had me heading straight to buy a glue gun and some feathers! It's actually a lot simpler than it looks as well. In terms of how much feather trim you should buy, calculate it by how big your lantern is. For example, my lantern is 50cm. I chose a very large one, therefore I bought around 15 yards of feather trim. Switch on your glue gun and let it heat up. Open out your paper lantern and turn it so the bottom faces up. When you look at the feathers, they have a slight flick to them. The first two rows you attach on, make sure the flick faces inwards so it doesn't expose the inside of the lantern. From the bottom of the lantern start to glue on your feather trim. My trims came in yards so I just glued the feathers down and cut off any excess. Glue down across in line with the wire ribbing. I chose to glue down every two wire ribbings but you can choose to make the feathers closer together if you prefer. Honestly, I think the closer the feather trims are to each other, the better the end result looks. After glueing down two to three rows, turn the feather trim around so it flicks outwards. Start to glue down the feather trim outwards all the way to the top. This will give your lamp shade the lovely flicked out, feathered look you need. Once you have glued the feather trims all the way to the top, stand back and see if there are any visible lines showing. Try to fill these in as they will show even clearer once the light is switched on. This DIY has actually become one of my favourites. It's probably because it gives such a dramatic look while looking subtle at the same time (if that makes any sense). And to a room with high ceilings, I think choosing a big light shade is something I needed or the effect wouldn't be the same. 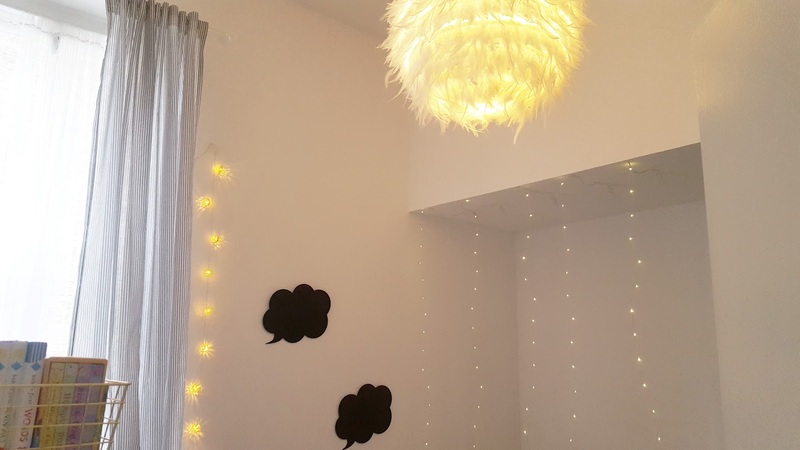 Also, with the theme I am going with in this room, I feel the feathered light goes well with it. 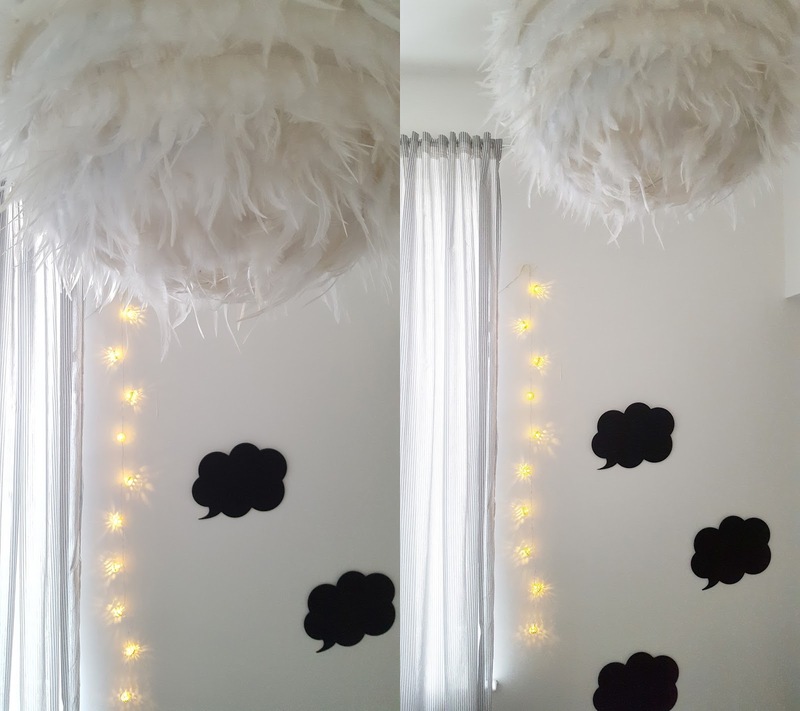 For example, I have little clouds going up the wall and to me, it kind of looks like a huge cloud at the top of the room. Oh, and the last reason why I love it is it's got a little story behind it. So when one day my kids ask me where or how I got that lamp shade, I can say, "I made it". (With the hope that they'll be super impressed by it!) I hope you enjoyed this DIY, I know I did! 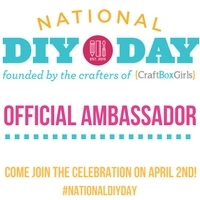 Also, don't forget to comment below if you'll be doing any DIY's too. Such a great way to add texture in a room! It looks awesome! Simple but stunning! My favourite kind of DIY project! I agree, the simple ones are always great and even better if they look good too! Aww thank youu! 😊. Yes do try it if you can. 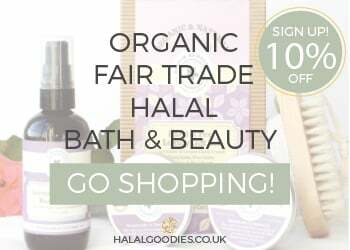 Aww Alhamdulillah I am so grateful! I hope it comes in handy! O woow...I love that attitude of ''somehow a feathered lamp shade HAD to enter my home, one way or another''. You never say NEVER, do you??? I love lamp shades and yours if stunning BUT my DIY sense starts and ends on Pinterest, Canva, IG etc. Wow! I'm loving how it looks like! It will go well a lot if you have a Marilyn Monroe themed room or something white girlish vintage. Oh yes I agree it really would look gorgeous! Awww JazakAllahu khair, you are too kind and that really means a lot! 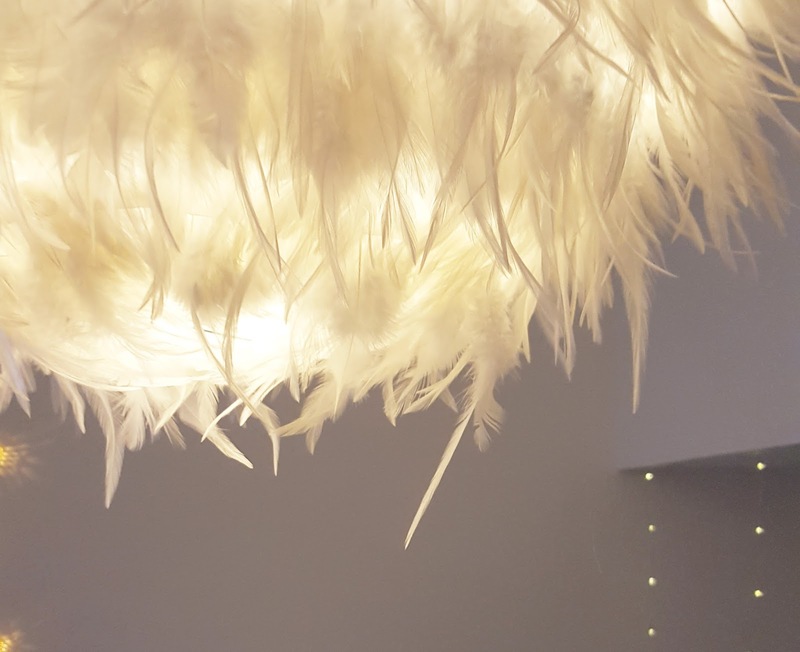 Beautiful feather lamp, and easy to make too. Well done love!! Thank you sweety! I bet the one she bought looks amazing! This came out so good!! I love how simple yet elegant it is! !